A Blogger's First Time at Our Temple! ~ The Toronto Hare Krishna Temple! 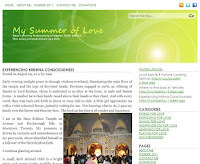 A Blogger's First Time at Our Temple!